I do love seafoods and they are my favorite food on earth. 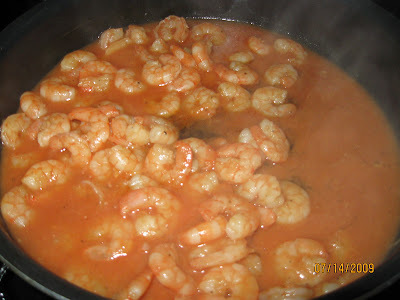 And since I missed eating them, I made one out of shrimp, with ketchup and saute it. Simple, easy and quick. Oh...I'm sorry to tell you that this looks really awful. very easy to do and looks to yum! at first akala ko pork and beans e.
love prawns too sis. try sauteing it with garlic, onions then add magic sarap and soy sauce. yummy!